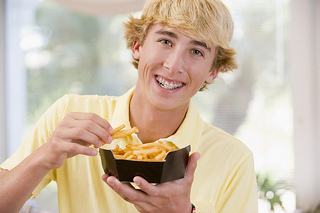 You are currently browsing the The Hart Orthodontics Blog blog archives for May, 2013. If you have been thinking about undergoing orthodontic treatment to straighten teeth or correct jaw alignment, the first step is scheduling an orthodontic consultation at Hart Orthodontics. During the consultation we will actively listen to your concerns and address all of your questions, as well as discuss a treatment options that would best suit you or your child’s situation. Can I expect any pain when getting braces? (Ask Dr. Patrick Hart about the ways we address pain management). Visit our website for more answers to your questions prior to your initial consultation. Dr. Patrick Hart and our team at Hart Orthodontics are happy to answer all your questions and concerns, and excited to explain all aspects of your treatment plan, as well as the expected outcome. We believe your orthodontic experience should be comfortable, hassle-free, and most importantly, leave you with the smile you’ve always wanted. Our team at Hart Orthodontics wants to take this time to wish you and your family a happy Memorial Day, as well as pause for a moment to reflect on what this holiday means and how it has changed over time. No, this is not a history lesson, but just a couple of thoughts and observances for you to take with you on your way to the next barbecue. It is time to load up the potato salad and the apple pie and head over to the neighbor’s house for their annual barbecue. And yes, contrary to popular belief, dentists do eat sweets, especially homemade apple pie! Everything in moderation, of course. So whether you’re in the Woodbridge, VA area or beyond- Happy Memorial Day to you and yours from Dr. Patrick Hart! Dr. Patrick Hart and our team understand not everyone is always thrilled about visiting their orthodontist. 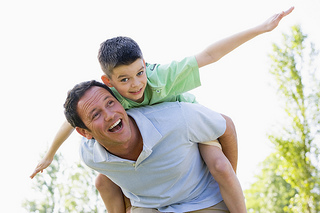 But at Hart Orthodontics, we strive to bring you the best and most comforting experience at each visit. Today, we’d like to know: What is it about our Woodbridge, VA office that makes you comfortable or puts you or your child at ease? Is it something about our pleasant environment? Our courteous staff? Is it something about Dr. Patrick Hart? Let us know by posting below or on our Facebook page! Or tell us at your next adjustment appointment! 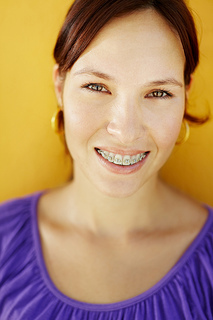 After getting your braces, it is important to know how to take care of your teeth in order to ensure that your braces stay intact and do their job so that your teeth are in top-notch condition after you complete your orthodontic treatment. Today, our team at Hart Orthodontics thought we would provide you with five tips you need to know to ensure you undergo successful treatment at our Woodbridge, VA office. In case your appliances are damaged, we ask that you call our team at Hart Orthodontics immediately to set up an appointment. We hope that helps! If you have any questions, please give us a call at our Woodbridge, VA office or ask us during your next adjustment appointment!